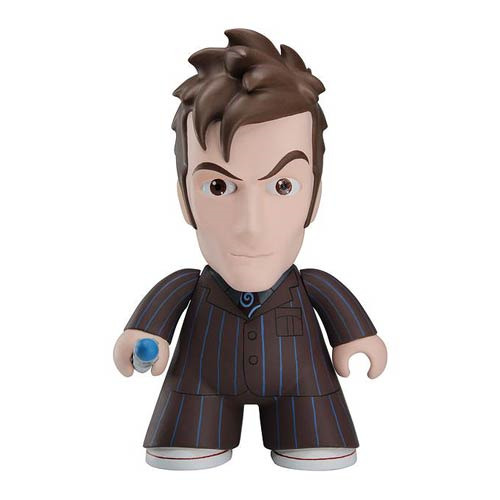 David Tennant's 10th Doctor is now a 6 1/2-inch tall vinyl figure - striped suit, Sonic Screwdriver, and all! This Doctor Who Titans 10th Doctor in suit vinyl figure finds the 10th Doctor from BBC's Doctor Who in his instantly recognizable and classy-looking striped suit. He's as suave here as he is on the show - just look at that hair! For ages 15 years and older.